MORNING AND AFTERNOON (working days) – these membership cards allow attending yoga classes from Monday till Friday from 7.00 am till 5.00 pm. MORNING, EVENING AND WEEKEND – these membership cards allow attending all yoga classes. We have unlimited yoga membership cards. These cards provide unlimited number of classes, which you can attend during limited period of time (1, 2 or 6 months). 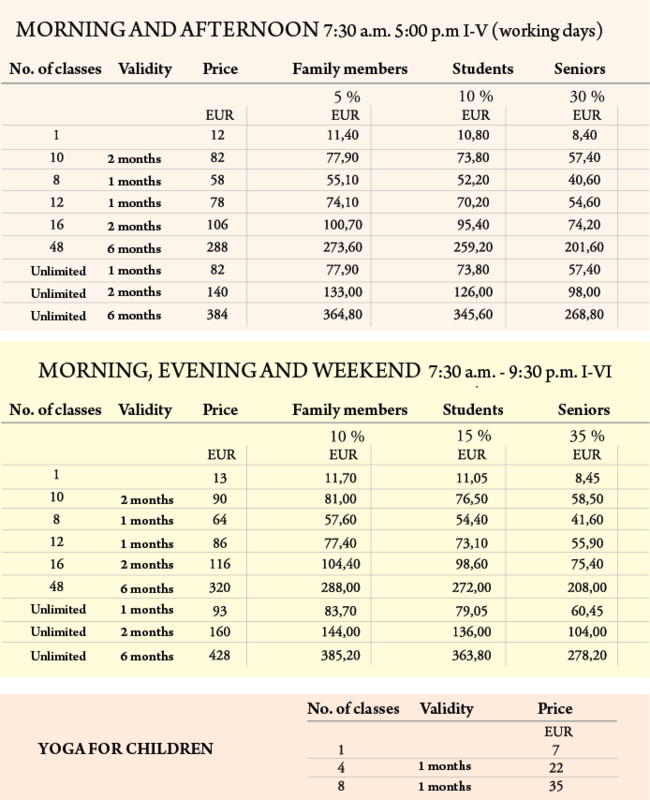 Prices and discounts for family members, students and seniors are provided in the table below.